Trying the street food is a must. 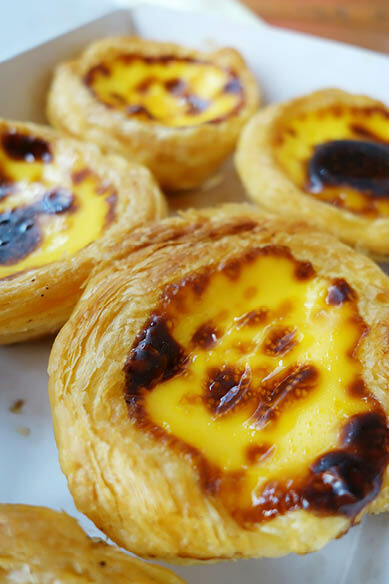 The delectable Portuguese tarts synonyms with Macao. When Portuguese traders brought capsicum, curry, shrimp paste and pickled cod to China some 400 years ago, little did they know that their culinary goods would form the earliest known fusion-cuisine. Combined with South-east Asian flavours such as cinnamon, coconut milk, tamarind, garlic and red chilli, Macanese cuisine was created from a melting pot of tastes – not only from Portugal, but also Africa, India, Malaysia and China. Honouring this centuries-old legacy, UNESCO has recently named Macao a Creative City of Gastronomy, one of just 26 cities across the world to be recognised for their culinary distinction. Indeed, this foodie destination draws in travellers from far and wide for its authentic dishes – African chicken, minchi, salt cod fritters, sawdust pudding and the world-famous Portuguese tarts, just to name a few. And with a host of dining options, from lavish restaurants to quaint teahouses to cheap and cheerful street vendors, there’s always somewhere to sample the local flavours. 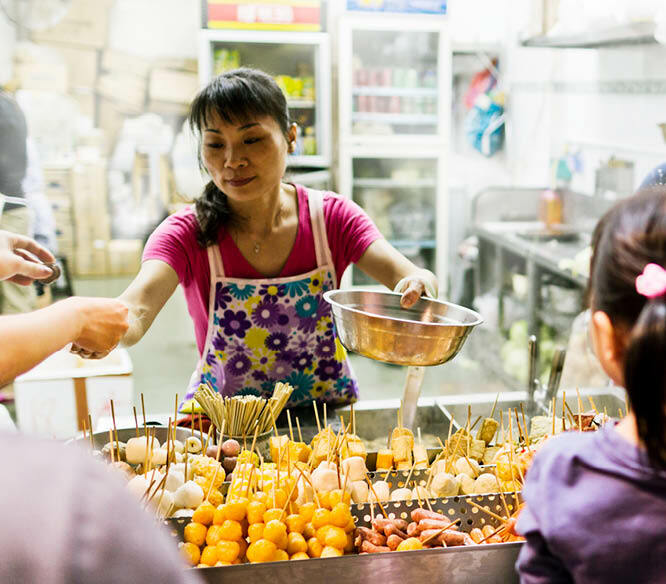 Of course, UNESCO is not the only organisation to recognise Macao’s remarkable food scene. Sixty-five of the city’s eateries have been listed in the prestigious 2018 Michelin Guide, with two restaurants awarded the highest accolade of three stars: Robuchon au Dome and The Eight, both located in the Grand Lisboa Hotel. To celebrate the UNESCO title and growing appreciation for its local fare, 2018 has been declared Macao’s Year of Gastronomy, complete with mouth-watering events. Among these, Macao will host Asia’s 50 Best Restaurants, complete with dining experiences and an awards ceremony in March, and the 18th Macau Food Festival takes place in November. In September, the skies will explode into a kaleidoscope of colour with the 29th Macao International Fireworks Display Contest; in October, MGM Macau will host its annual joyous Oktoberfest; and December is set to be abuzz with festivities including the Macau Shopping Festival, Macao Light Festival and the International Film Festival and Awards. Just in time for the delectable festivities, the highly anticipated MGM Cotai has opened its doors. Within its sparkling glass exterior the lavish 1390-room casino-hotel boasts seven restaurants and bars, a multisensory theatre, a pool set within a garden oasis, more than 35 shops, and an exquisite art collection. 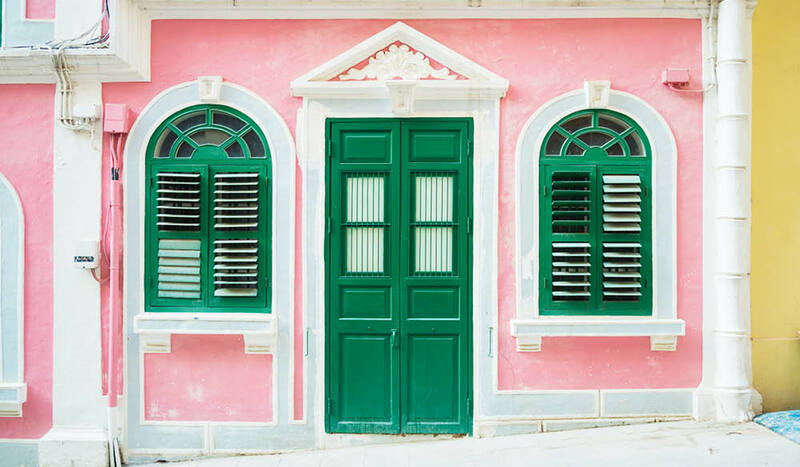 Macao lies around 60 kilometres west of Hong Kong – Qantas, Virgin Australia and Cathay Pacific have direct flights to Hong Kong from most Australian capital cities. TurboJet and Cotai Water Jet provide ferry services between Hong Kong and Macao (approximately one hour). 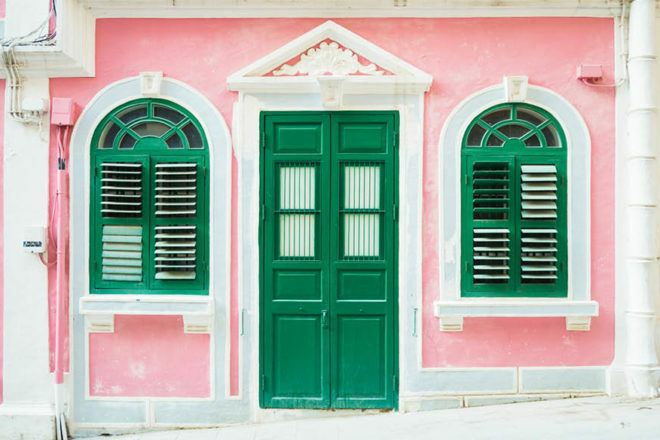 For more information on getting to Macao and for accommodation options, head to Visit Macao.